Looking for a way to gain hands-on experience working with sustainability related initiatives in a community-based setting? There are a number of Reading Week (Feb. 2014) opportunities that can help you do just that! Sustainability & Solidarity is an International Service Learning opportunity that allows students to work and learn alongside a community organization in rural Mexico that works on agricultural and ecological initiatives such as dry toilet installation into neighboring communities where access to sanitation facilities is limited. Learning sessions about the factors and issues surrounding this project are integrated throughout the week. Sustainability and Coastal Conservation is an International Service Learning opportunity to work with a NGO along the Caribbean coast in Costa Rica. This project is to work with ASVO is to make the station as self-sustainable as possible, in order to reduce impacts on the local habitat and provide a model for nearby communities and international volunteers. You will contribute to this goal by helping to build a greenhouse on the site to assist in reducing the need to bring in outside sources of food to the site and increase the diversity of plant species (vegetables) available for local consumption. Ecosystems and Ecology is an International Service Learning opportunity to work with a NGO along the Caribbean coast in Costa Rica. This project is to work with ASVO is to make the station as self-sustainable as possible, in order to reduce impacts on the local habitat and provide a model for nearby communities and international volunteers. You will contribute to this goal by helping to construct a water filtration system that will harvest both rain and salt water to provide volunteers and the surrounding community with a sustainable source of clean drinking water. You should expect hands-on work, manual labour, and the need to problem-solve in the field. Interested students are invited to attend an info session to learn more. Join us on Wednesday, Nov. 13th at 7pm in Place Vanier Upper Atrium. Applications can be submitted online and are due Nov. 17th. Colin Beavan and his family embark on a year-long project to reduce their net carbon footprint by using no electricity, producing no trash and giving back to the world. 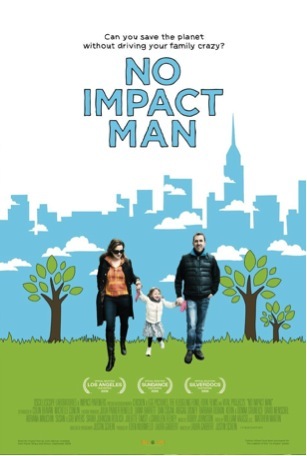 No Impact Man presents the severe lifestyle changes that come with altering their entire existence. Is BC’s Proposed Natural Gas Development Sustainable? Exploring the Economic and Environmental Impacts. What natural gas projects are being considered in BC? Can BC achieve our 2020 greenhouse gas emission reduction targets while developing natural gas? How is the global market for natural gas changing and what does that mean for BC [exports]? Join us for a panel discussion and an open house about BC’s natural gas strategy on Nov 28, 2013 at 4pm. The event is free, but priority seating will be given to those who get their ticket through Eventbrite and arrive at least 15 minutes prior to the start time. Seating will be open to anyone 10 minutes before the event. This event will be filmed and photographed. The audience may be included in the video and/or pictures taken. The video and/or pictures may be put online publicly but will never be sold in any manner. If you wish to avoid being filmed or photographed please speak with the coordinators at the event. Best efforts will be made to accommodate you, but some recording may be unavoidable. • Contributor to the IPCC and the Millennium Ecosystem Assessment. • Co-founder of Offsetters and HydroRun Technologies Inc. 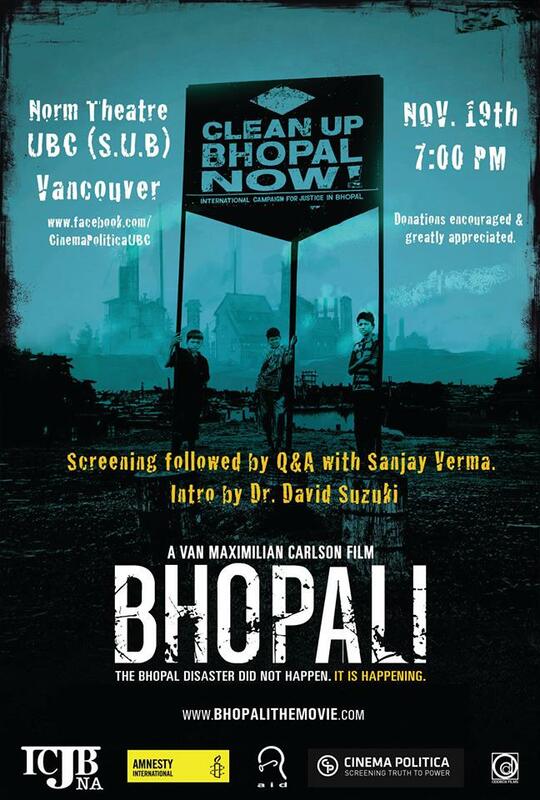 Wed, November 20, 2013 6:00 PM – 8:15 PM MACLEOD BUILDING. Suggested donation $5. Join UBC’s Engineers Without Borders chapter in taking a fresh look at sustainable development issues: food security, environmental protection, poverty and war. Dirt! The Movie will be screened with a panel of key experts available for comment afterwards. -Mina Shahid, Director of Business Development, Kulemela Investments, which integrates philanthropy and profit by channeling foreign investor capital toward small and medium sized African agribusinesses. Entrance by suggested donation of $5. Fair Trade tea, coffee, and baked goods (gluten free and vegan options as well) will be available for purchase. Come with your friends, make new ones and gain a new perspective on sustainable development! Fri, November 15, 2013 12:00 PM – 1:00 PM Free. At the stormwater feature, near the Bookstore. It’s not just the pretty water feature you walk by on your way to class. Doug Doyle invites you into his theatre to hear the story about the amazing new stormwater feature and how UBC is using stormwater as a resource on campus. The Centre for Interactive Research on Sustainability (CIRS). Free. He’s a Canadian Geographic Environmental Scientist of the Year and mastermind of the Centre for Interactive Research on Sustainability. Join John Robinson, Associate Provost, Sustainability for an inside view on UBC’s first LEED Platinum building. 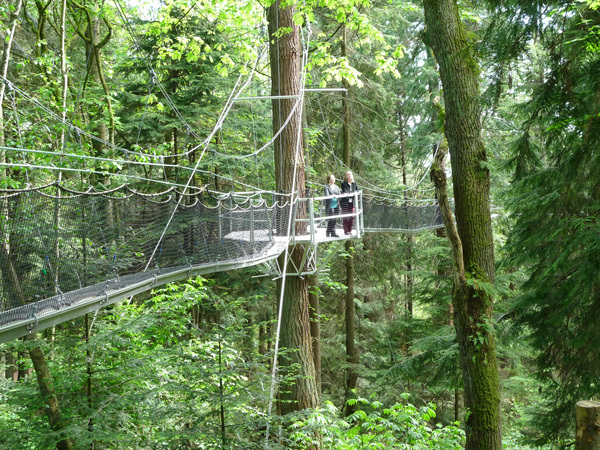 UBC Students can join us for a free tour while we highlight one of the interesting ways that UBC is embracing sustainability by partnering with like-minded organizations like Greenheart Conservation. Don’t miss your opportunity to get involved in the ever-growing US biodiesel industry. With strong policy, strong markets and strong technical and environmental positions, the industry is again poised to see record production in 2014, potentially nearing 2 billion gallons of production. National Biodiesel Board celebrates the strong, united front of its membership and the successes of its efforts to continue to grow the US market. This conference has grown from a small gathering at our first event in Palm Springs, Calif. in 2004, to a powerful platform that drives biodiesel business all year long. Demographics show most of our attendees are high-level decision makers in their fields. Those who reach them first will be two steps ahead of their competitors. This conference is the only event that gathers biodiesel decision makers from throughout the United States and the world.